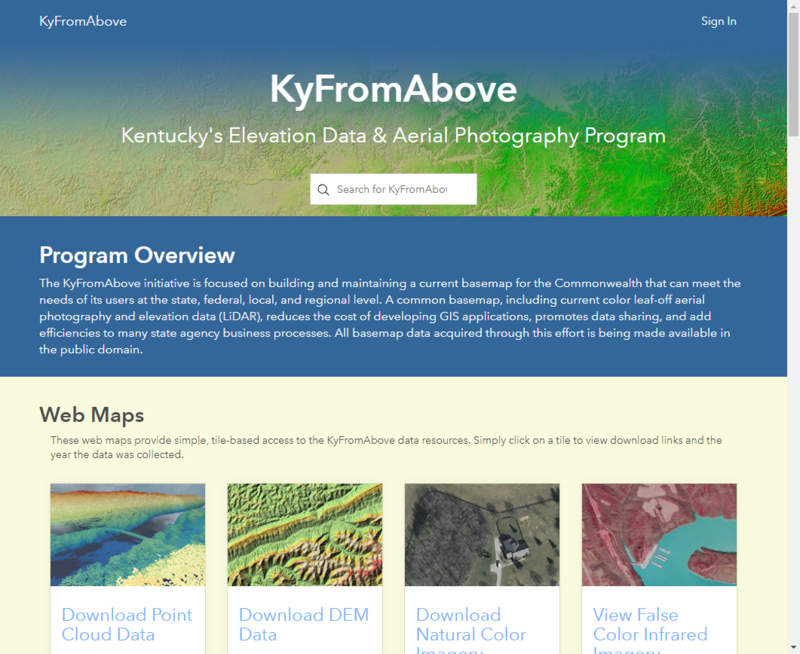 Helium in Central Kentucky? Cores from the Texaco No. 1 Kirby well, Garrard County, Ky. The No. 1 Kirby well was drilled in Garrard County in central Kentucky. Texaco drilled the No. 1 Kirby well in Garrard County, Ky., in 1968, to evaluate the hydrocarbon potential of a deep, fault-bounded sedimentary basin called the Rome Trough. 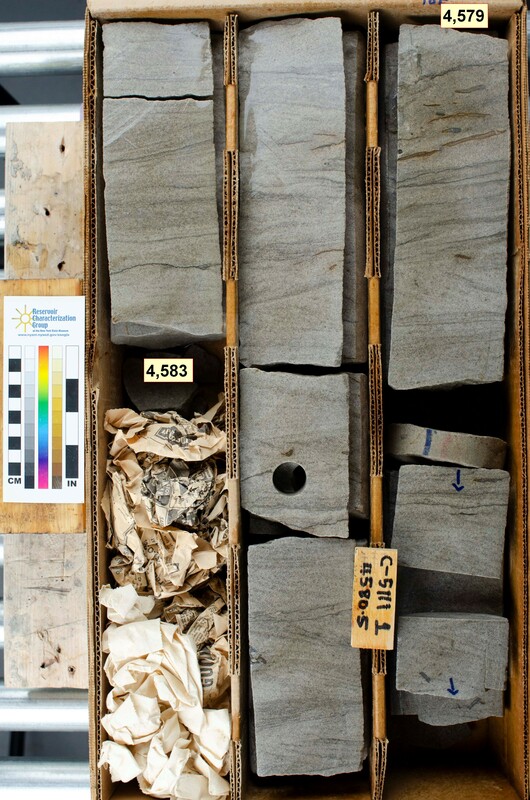 The well was drilled to a depth of 5,745 ft., penetrating Precambrian metamorphic rocks. Cored formations include the Cambrian Maryville equivalent (depth of 4,573-83 ft.), the Cambrian Rome Formation (4,612-32 ft.), and Precambrian phyllite (metamorphic, 5,735-45 ft.). 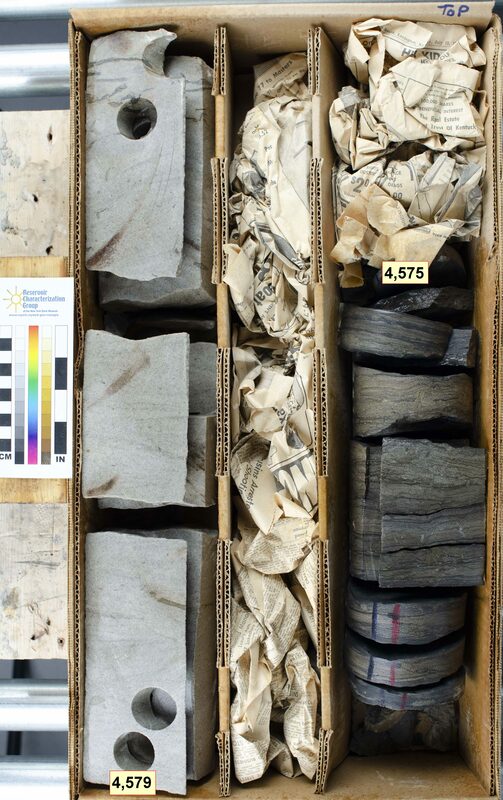 Records of the well can be found at the KGS Oil and Gas Records Database, and information on the core is available at our Well Sample and Core Library Database page. Texaco found natural gas in the Kirby well at depths around 4,550 ft., but it was mostly nitrogen, with only about 14 percent methane. While it lacked sufficient hydrocarbons to be marketable, the gas surprisingly contained 1.6–1.8 percent helium. Although it is a small percentage of the total gas, this concentration of helium is sufficient to be a commercial resource. Since the Kirby well was drilled and plugged, three other wells have confirmed helium-rich gas in central Kentucky, but none have been produced. Helium forms from radioactive decay in rocks over very long time periods. Proposed research at KGS could help identify the source and geographic extent of this new resource. 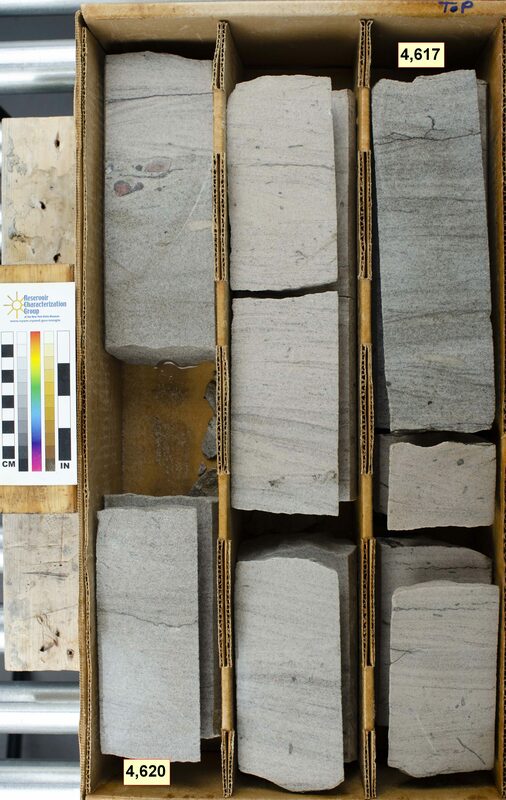 The two shallower cores from the well contain porous Cambrian sandstones that are the reservoir rock for the helium-rich natural gas. 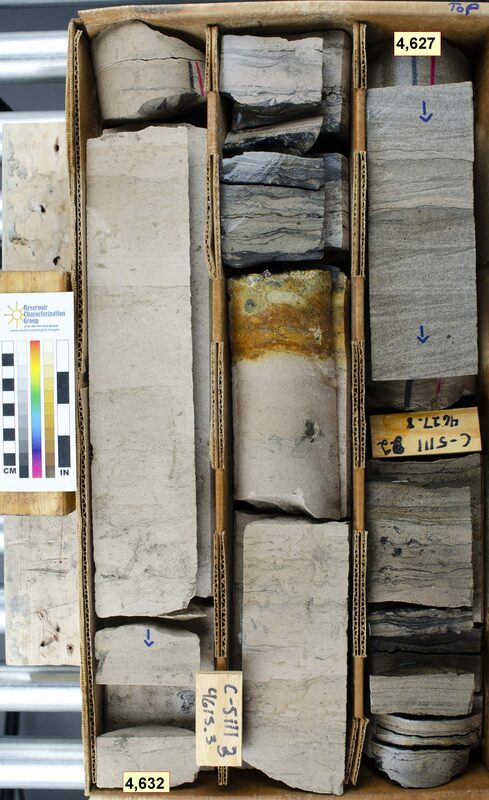 These cores have been used to interpret the depositional environment of the sandstone, which helps determine the extent of the gas reservoir. 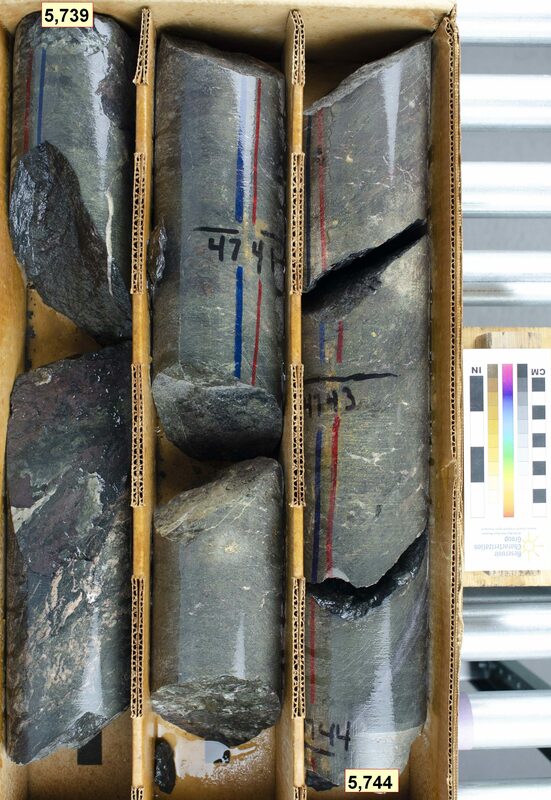 Porosity and permeability can also be measured from the cores to help calculate the volume of gas trapped in the rock. 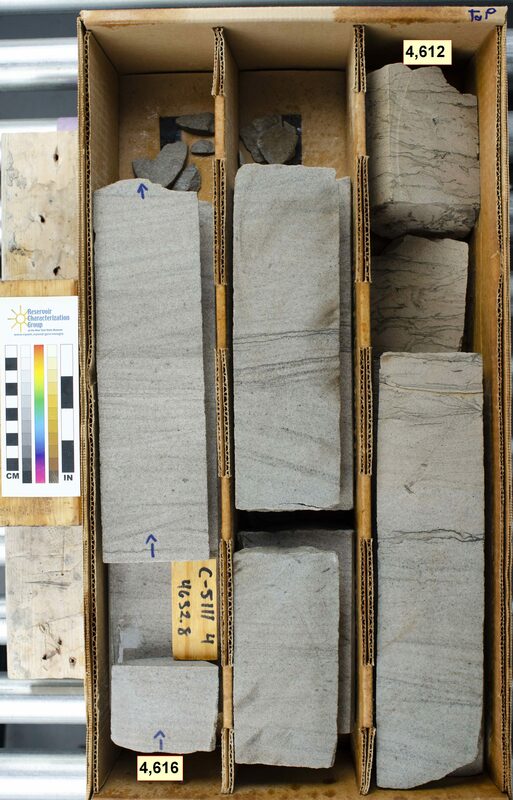 Core analysis data from the Kirby well is not available, but well logs indicate about 10-15 percent porosity in the most porous sandstones. 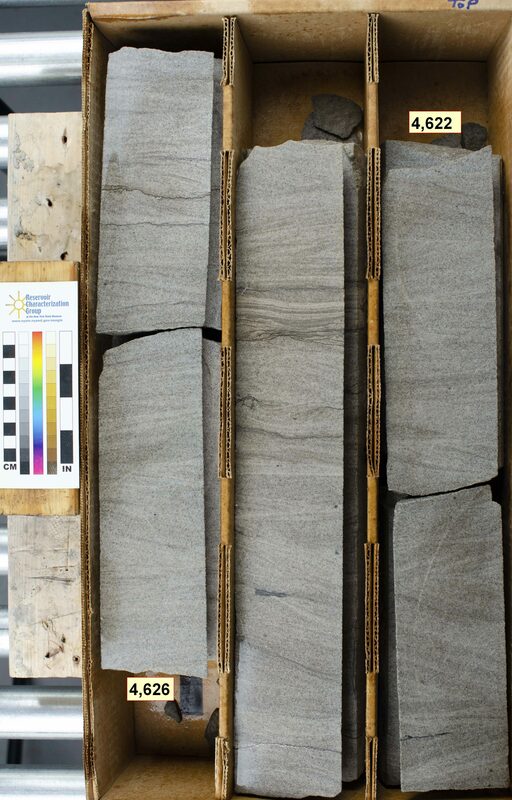 The deepest core sampled Precambrian metamorphic rocks assigned to the Grenville Province, about 975 million years old. 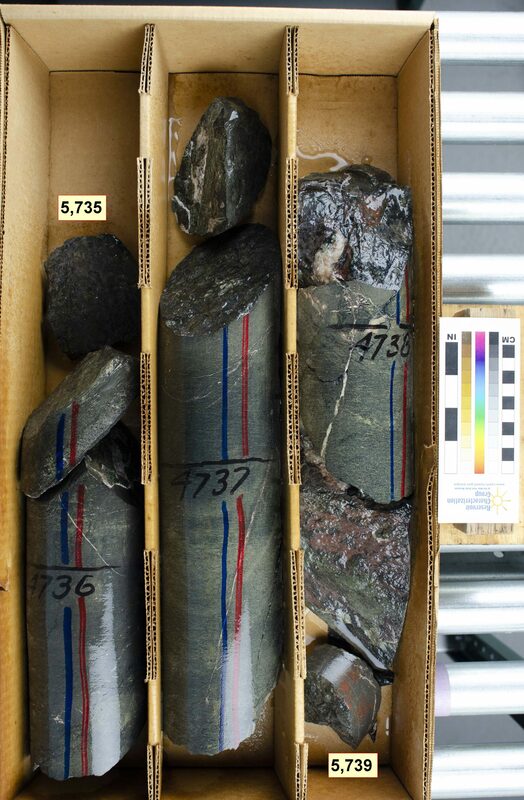 These rocks are currently being used to interpret the evolution and structural history of the basement rocks in central Kentucky. Click on a thumbnail below to view larger photos of the Kirby cores. Core photography by Ray Daniel and Ryan Pinkston. 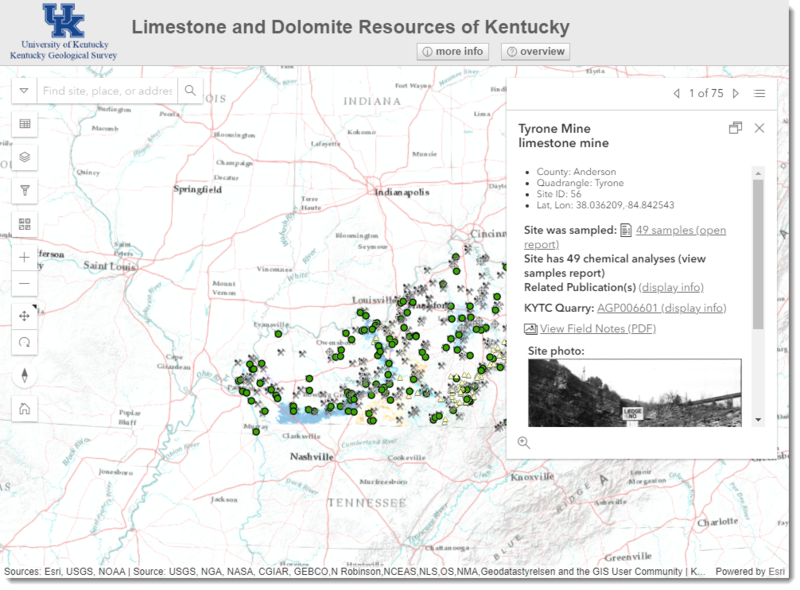 Bowersox, J.R., 2018, Preliminary assessment of the helium resources potential in Central Kentucky (abst. ), Eastern Section, American Assoc. of Petroleum Geologists Annual Meeting Program with Abstracts. 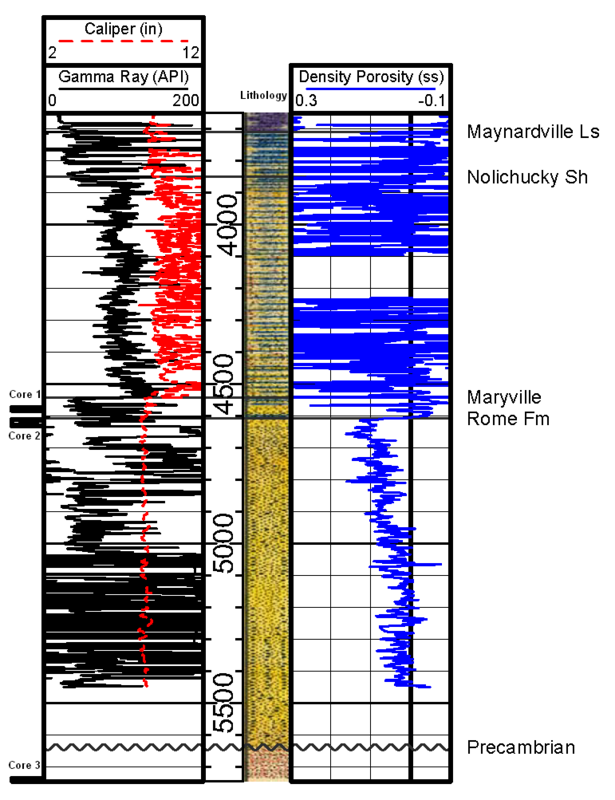 Harris, D.C. and Drahovzal, J.A., 1996, Cambrian Hydrocarbon Potential Indicated in Kentucky’s Rome Trough: Kentucky GeologicalSurvey, Ser. 11, Information Circular 54, 12 p.
Back to "Rock and Minerals Home"